What's this? What's this! 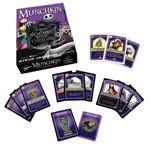 Your favorite The Nightmare Before Christmas characters mashed up with Munchkin. So what's in the box? Soooo much fun! 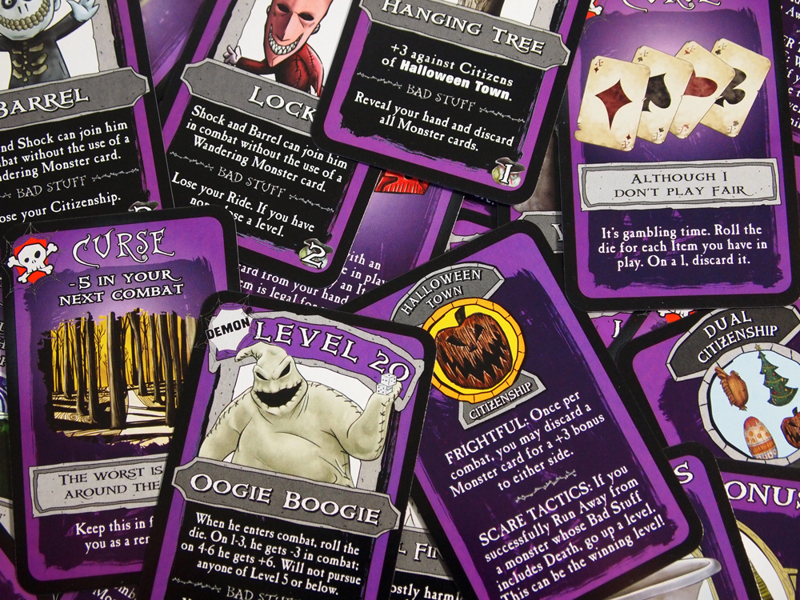 There are 168 cards, featuring weapons like a Vampire Teddy, Mayor's Badge, and Bat Hat, and charge into battle on Santa's Sleigh. Your foes include Oogie Boogie, Doctor Finkelstein, and Lock, Shock, & Barrel! 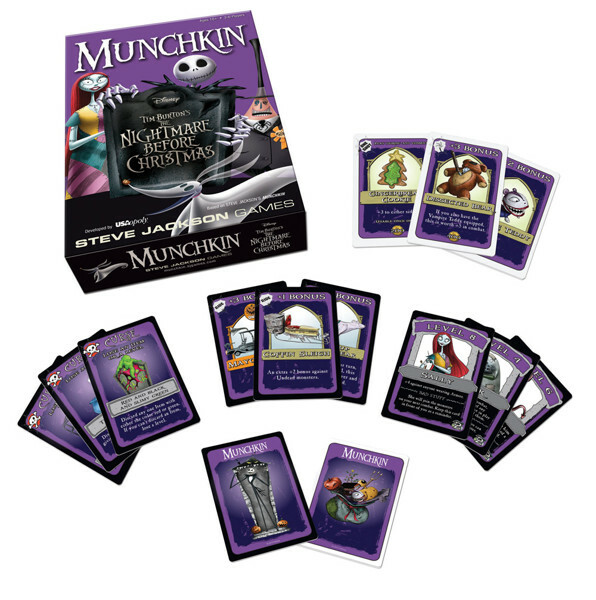 Don't forget, Munchkin The Nightmare Before Christmas is a stand-alone game, but you can also add it to your existing Munchkin decks. There is also a super cool Oogie Boogie die -- I love that! A perfect gift for Halloween or Christmas, or your favorite Tim Burton fan. Head to your local FLGS today to grab one!